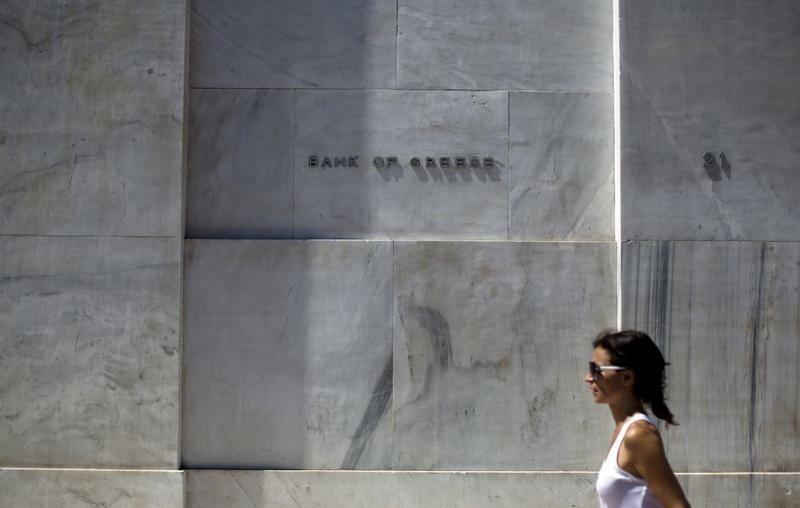 ATHENS (Reuters) - Greek banks' bad loans, which peaked after capital controls were imposed in late June, have dipped to around 45 percent of their loan books and are likely to fall further, daily newspaper Kathimerini said on Tuesday, citing bankers' estimates. The figure for bad loans - defined as credit more than 90 days in arrears or likely to fall into that category - was 40.8 percent at the end of the first quarter, according to latest official figures. The picture worsened in July, when in addition to capital controls banks were closed for a week, and when only about 15 percent of borrowers who had been repaying their loans normally in the past made monthly payments, the paper said. But 80 percent resumed timely repayments in August and bankers are expecting further improvement this month, it said. Under Greece's third bailout, which it agreed in July, up to 25 billion euros ($28 billion) were allocated to recapitalize the banks. Insiders say the sum required is more likely to be in the 10 billion to 15 billion euro range.